A Glasgow-based band who signed to the progressive Vertigo label. They specialised in flashy instrumentation but were somewhat short on melody. 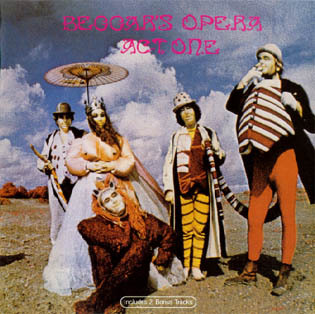 Overall, the "Act One" album attempted to fuse classical and post-psychedelic progressive rock. They also had a big Continental hit with the non-album 45, "Sarabande". Their next album effort, "Waters Of Change", is usually considered a progression on their first effort. It is similar in style, possibly less frantic. "Pathfinder" contained a superb cover version of Richard Harris's "MacArthur Park", which was probably its highlight. By now they had discarded their earlier keyboard-dominated sound for West Coast influenced harmonies. "Get Your Dog Off Me" was a very disappointing effort and after four years and little success they split in 1974. In the mid-seventies Gordon Sellar reformed the band and they recorded a couple of German-only albums. Ricky Gardiner also toured with David Bowie in this era. It is a bold step for any aspiring rock band to tackle the works of a great classical composer, especially on their first album. 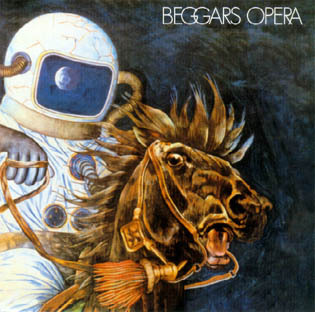 However, Beggars Opera were always brave and adventurous, both in their choice of material and musical philosophy. Whether performing original songs or applying their arranging skills to the compositions of others, this highly esteemed progressive group could always be relied on to deliver diverse and satisfying sounds. 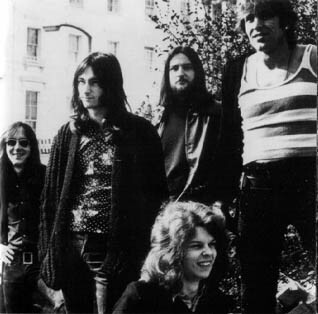 The band were signed to the Vertigo label in 1970, which, like EMI's Harvest, was intended to be a haven for the ambitious and musically adventurous. 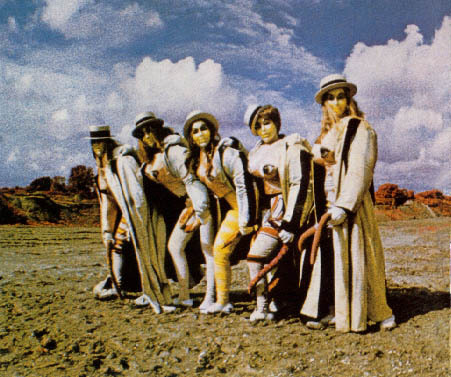 The group came from Scotland and arrived on the scene at a time when bands like Yes, Genesis, Jethro Tull and ELP were pushing forward the boundaries of rock. It was perfectly acceptable to mix elements of classical music, folk, jazz and rock in the spirit of adventure that prevailed after The Beatles had set so many trends in the Sixties. Even Led Zeppelin, kings of hard rock, were eager to experiment, as their extensive use of Eastern sounds and acoustic guitars confirmed. Vertigo, with its famous spiral label, provided a healthy environment for equally adventurous groups like Colosseum and Manfred Mann's Chapter Three. In this productive atmosphere it was appropriate for Beggars Opera to adopt a sophisticated musical policy. This commitment to excellence would flower over a succession of albums in which the band's style would perceptibly alter with their changing moods and ideas. The band's line-up consisted of Martin Griffiths (lead vocals), Alan Park (organ, piano), Ricky Gardiner (lead guitar, vocals), Gordon Sellar (bass, acoustic guitar, vocals), Ray Wilson (drums) and on occasion Virginia Scott (mellotron and vocals). Griffiths had a particularly attractive, unpretentious vocal style, usually complemented by the alternately rhapsodic and funky keyboard work of Alan Park. Ricky Gardiner's guitar worked very well within the context of the arrangements and he was capable of biting, nimble solos. The rhythm section was unusually subtle and drummer Ray Wilson was a crisp and natural player. 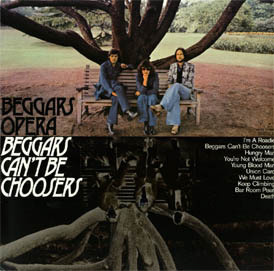 While the group lacked the kind of mass acceptance that pushed Genesis into the super league, they had many loyal fans and Beggars Opera were clearly a band with enormous potential. They took their name from the well-known and highly successful play by the English poet John Gay. Written in 1728, The Beggar's Opera earned the composer the sum of BP l,000, a fortune by 18th Century standards. Alas, like many a 20th century rock musician, Gay lost most of his money in ill-advised speculation involving the financial crash known as the South Sea Bubble. 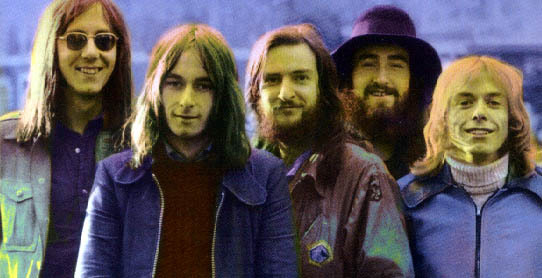 'Act One', the band's debut album, was released in 1970 and impressed with its blend of artistry and blend of influences. One of the highlights was their clever arrangement of Suppe's popular 'Poet And Peasant Overture'. The original work is rich in contrasts and has a witty and emotional exuberance that makes it an irresistible climax to any concert of popular classics. One critic remarked that "The Peasant suffers from Suppe's congenital inability to stop!" It certainly makes a useful vehicle for a modern rock group. It's a wonder it wasn't also covered by Keith Emerson of ELP, famed for his dynamic treatment of the classics. The composer Franz von Suppe was born at sea, and was very much a European citizen. He had an Italian mother, a Belgian father and became an Austrian citizen. He wrote some 21 operettas and 180 ballets and vaudevilles, but the 'Poet And Peasant' and 'Light Cavalry', which also gets the Beggars Opera treatment, are among his best - remembered pieces. As well as the original album tracks, 'Passacaglia', 'Memory' and 'Raymond's Road', we have added the band's 1971 single release 'Sarabande'. A Sarabande, incidentally, is an stately court dance of the 18th century, usually performed in slow triple time. Coupled with 'Think', it gives an insight into the band's musical capabilities and broad tastes. 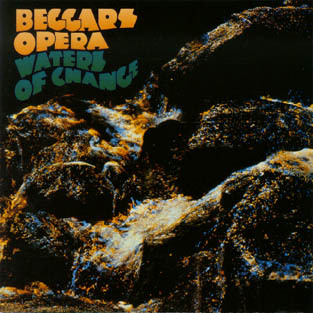 After the success of 'Act One', Beggars Opera went on to produce several more fine, albums including 'Waters Of Change' (Vertigo) in 1971, which saw the arrival of Virginia Scott on the mellotron. The mellotron was an early attempt at a sampling machine. Tape loops of pre-recorded strings stored inside the machine could be activated by a keyboard, which produced a haunting sound beloved by The Moody Blues and Genesis. There was a touch of mellotron on the band's celebrated version of Jim Webb's 'MacArthur Park', featured on their third album, 'Pathfinder' (Vertigo) released 1972. This poignant epic was a huge hit for actor Richard Harris in 1972. Both these vintage albums are now available on Repertoire CDs and are well worth seeking out. 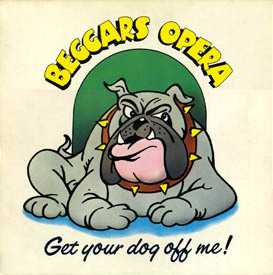 As the Seventies progressed, Beggars Opera remained busy in the studios and released another album, 'Get Your Dog Off Me' (Vertigo) in 1973, which saw the return of Virginia Scott, on her trusty mellotron. 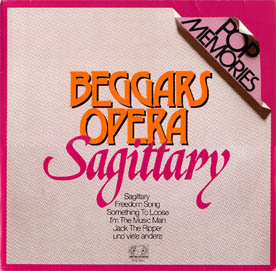 'Sagittary' was issued on the Jupiter label in 1974 and the band's final efforts, 'Beggars Can't Be Choosers' (Jupiter) and 'Lifeline' (Vertigo) were released in 1979 and 1980 respectively. By the end of the Seventies, the heyday of progressive rock was largely over, submerged by the arrival in turn of punk, heavy metal and techno. But the band's music as revealed on this excellent CD, still sounds fresh today. Hark, hark - the Beggars are singing for their Suppe!